SUTTONS BAY, Mich. - Hundreds of people gathered in Michigan’s northwestern Lower Peninsula to watch as a rescued bald eagle was returned to the wild. The Empire, Michigan-based nonprofit organization Wings of Wonder rescued the eagle Feb. 1 from an ice shelf near Suttons Bay and video of the bird being saved was posted on YouTube. Those involved say a ball of ice that formed at the end of the bird’s tail prevented him from flying. Rebecca Lassard, who is Wings of Wonder’s executive director, says they helped the bird get back into flying shape at a wildlife rehabilitation center and over the weekend he had “his last free meal” before being released. 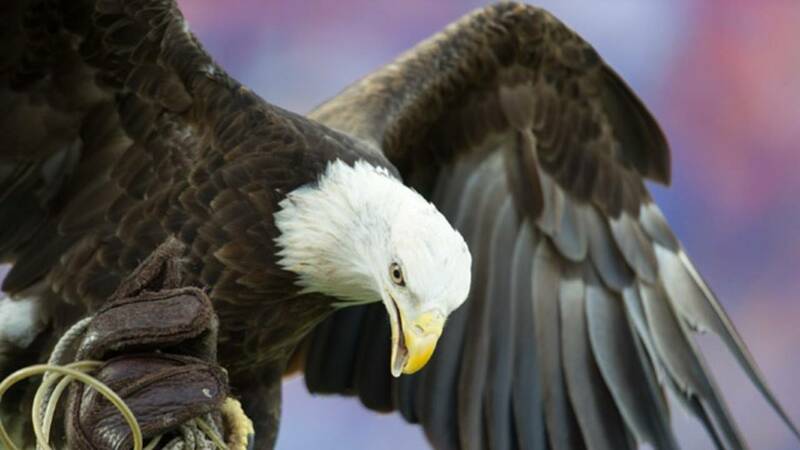 WWTV-TV reports the eagle was set free before a crowd Sunday outside Suttons Bay High School.